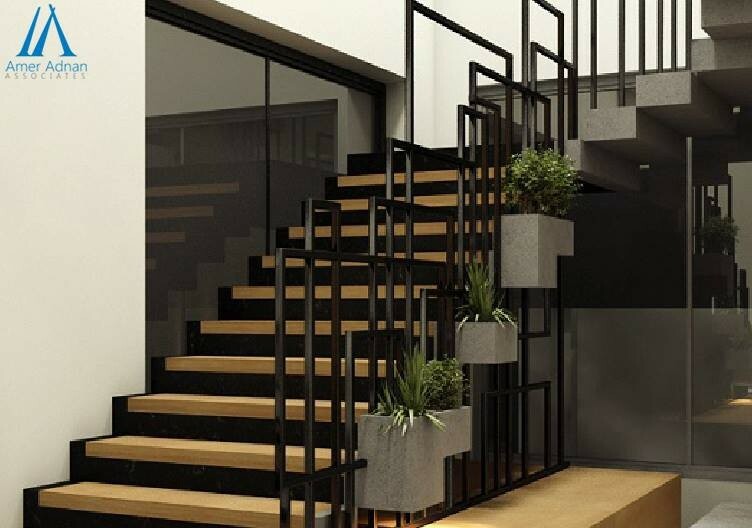 To give your home a modern look, architects and interior designers at AmerAdnan Associates have designed a beautiful staircase for your home or hotel. The materials installed contain granite, metal, wood and concrete. We have used an attractive and unique metal railing. The wood work adds more value to its amazing design and always have enhanced the beauty whether traditional, contemporary, rustic, or any other staircase.